The different types of Stones are obtained from the quarries and it is a natural material for construction purposes. We use it to construct different components of building such as retaining walls, foundations, lintels, roofs, and floors, etc and also for the construction of bridges and dams. Stones are obtained from rocks and rocks form in the portion of the earth crust having no defined chemical composition and also have no definite shape and sizes. According to geographically, we divide it into three main types. From the solidification of the molten mass of lava, these stones are generally formed. They are laying below or above the earth surface. It is formed after the colling of lava (magma). It has crystalline glossy or fused texture. Metamorphic or Igneous rocks make up to 90 to 95% 16 km of the top Earth’s crust by its volume. When magma is trapped inside the (deep) Earth those intrusive igneous rocks are formed. Need a very long time to grow. Those rocks are formed when the magma cools near the earth surface. Fine-grained or even glassy texture. These rocks are formed due to the settling of water from the deposition of clay and sand in the earth surface. Water carries sand, clay and makes a layer of them on other stones or surfaces which gradually becomes a rock itself. That is a sedimentary rock. 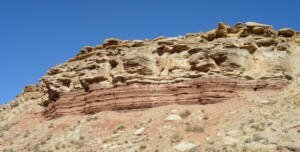 These are also called the stratified because these rocks are formed in layers. Due to excessive heat and pressure, these rocks are formed in the earth and they have altered from their original structures. Suppose an igneous rock is placed very below in the ground for many years it will gradually change itself due to heat and pressure it had to bear and become metamorphic rock. Slate, Phyllite, Schist, and gneiss are an example. Marble, hornfels, quartzite, novaculite are an example. According to chemical conditions, we divide it into three other main types. These rocks are those which have chief constituent sand silica as in the form of quartz, granite. In these rocks, the principal constituents are clay or alumina as in slate and laterite, kaolin. These rocks are those which contain lime or calcium carbonate as the main constituents. The limestone and marbles are examples of calcareous rock. 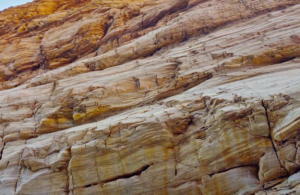 These rocks are those which have a distinct layer and can be separated out into thin slabs. The limestone’s, slate and sandstone are the examples of stratified stones. These rocks cannot be easily split into thin slabs and also does not show any sign of strata it. 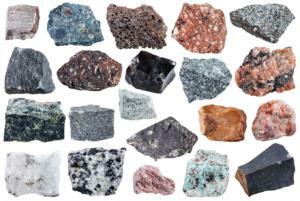 The granite and marble are examples of unstratified rocks. We use for the construction of walls and decorative purpose such as the construction of buildings, walls and paving slabs because the stones have good resistance to weather. To give a massive appearance to the structure. For making the different shade of walls. Stones are use to cover the floor of buildings of various types such as residential, commercial and industrial, etc. For insulation purposes in electrical appliances. Use in the construction of paving roads, footpath, etc. Limestone for burning lime and also for the manufacture of cement. Limestone as a flux in the blast furnace. More materials now available which are more workable, durable and suitable. The stones are not cheaply and conveniently available in the plains. The construction of stones in the building takes more times because the dressing of the stones takes a long time and time-consuming. we construct structures with steel and RCC are the stronger and have good strength. The stone which is going to use must be strong enough to counter the loads and impacts. The grains of stones must be closed and the surface of the stone is free from cracks and cavities and cracks. For every building, the face of the building is important. To look at the building beautiful, it is most important that the color of stone must go well with surrounding environments. we prefer those stones which have a uniform shade. So it will increase the beauty and appearance of the building structure. Heavier varieties of stones are more compact, less porous and have greater specific gravities. For the construction of a structure which directly deals with water, such as dams, docks, barrages, etc., the heavier stones are more preferable. The stone is not suitable for the construction which is more porous especially in building areas which are a directly connect to the atmosphere. If the stone is porous it may be absorbing the rainwater or may absorb different gases which may damage the structure. Before the use of stone, it should as such be tested for porosity and care should be taken to use more porous stones only at places where they are not likely to encounter frost, rain, or moisture in any other form. Natural moisture present inside the stones is known as quarry sap. Which make the stone weak and soft. So before the use of stone in building construction the stone must have less content of moisture.